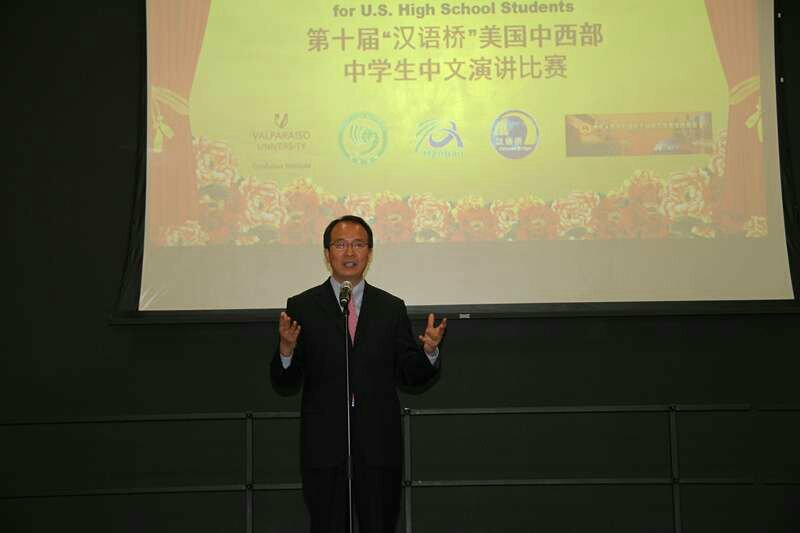 On May 13, Consul General Hong Lei attended "Chinese Bridge" Midwest Chinese Speech Contest for High School Students held at Valparaiso University, Indiana. 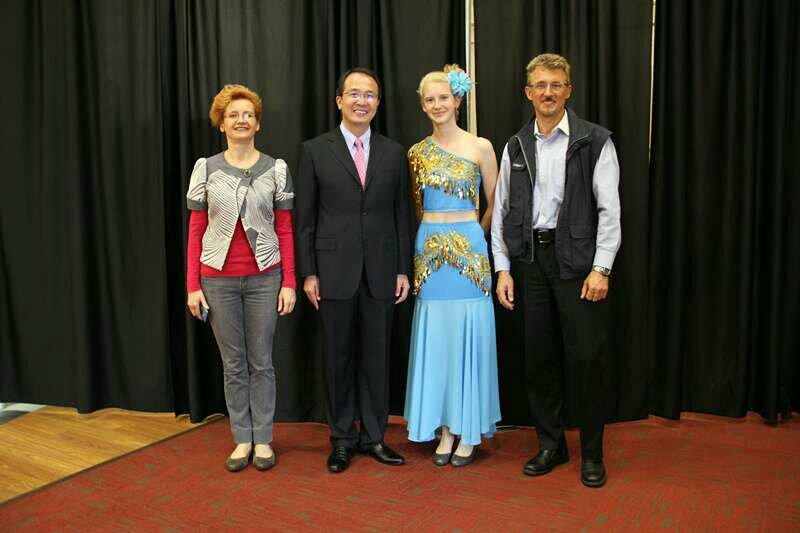 The Contest was hosted by the Confucius Institute at Valparaiso University. More than 50 contestants from 6 States of Illinois, Indiana, Michigan, Missouri, Minnesota and Kentucky participated Chinese speech contest and talent show at four different levels. 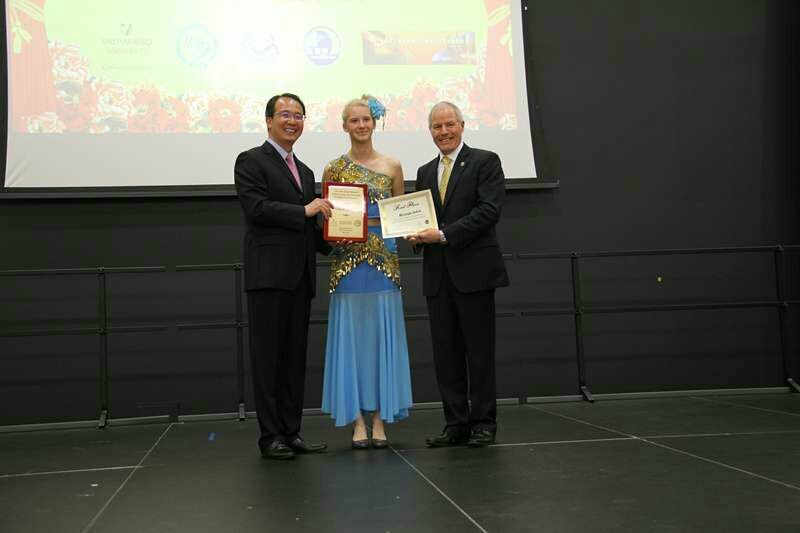 Consul General Hong Lei and President Mark Heckler awarded certificates and trophies to winners and participants at the closing ceremony. 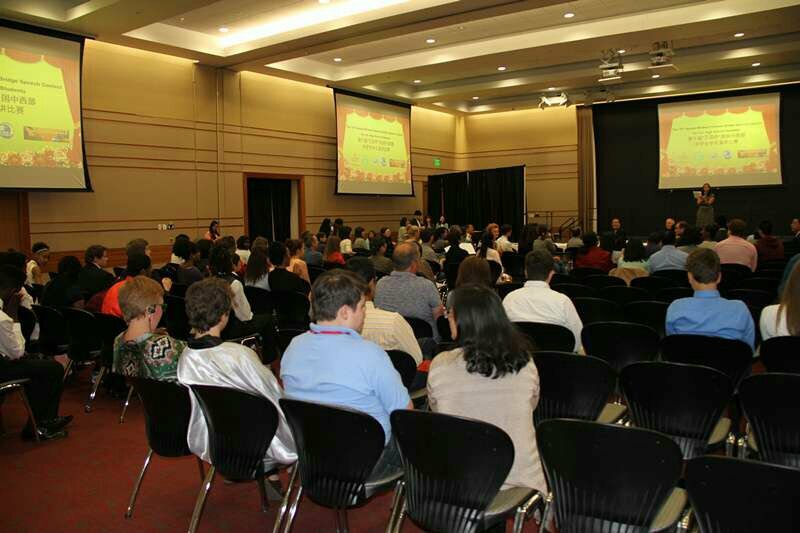 Confucius Institute at Valparaiso University's Director Professor Jianyun Meng and Deputy Director Professor Bin Yu attended the closing ceremony. Consul General Hong Lei expressed his appreciation to the host for the event and instructors from the 6 States supervising their student. He congratulated to all the contestants for their achievement in learning Chinese language and culture. Consul General Hong Lei said in his speech that as two major countries with global influence, the importance of China-US relations is self-evident. Young people are important driving force for future China-US relations. He hopes with grasping Chinese language American youth can have in-depth understanding of China, actively engage in friendship and cooperation between China and the United States and contribute to creating an even better future of China-US relations. After the closing ceremony Consul General Hong Lei talked with participant and their parents.